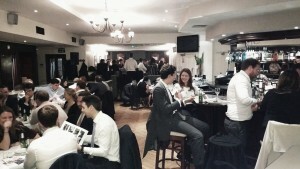 The YMC’s fantastic quiz night.. 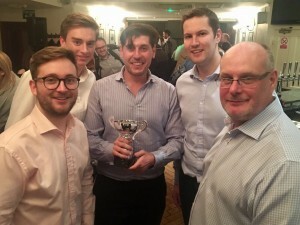 This week The Insurance Institute of London’s Young Members’ Committee organised their first ever charity quiz night and kindly chose to support us. The quiz was held at the Steam Wine Bar Restaurant – thank you to Steve and the team for kindly donating the space for the night. The quiz consisted of multiple rounds ranging from history to sport to films. The night finished with a well-supported raffle in which people won amazing prizes of champagne, haircuts, meals out and not to mention, a mattress! We are greatly appreciative for their kindness and generosity organising the event. 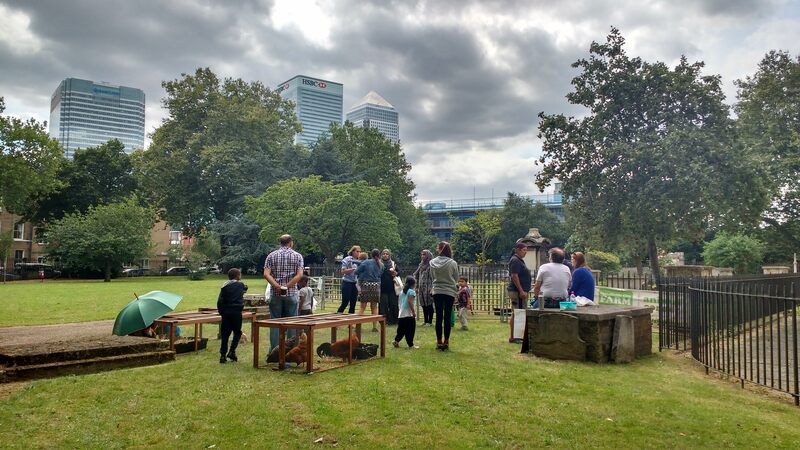 They also gave Andrew Manning, our Trustee and former Insurance Underwriter, the opportunity to speak at the event; he raised awareness of the key critical issues in Tower Hamlets and shared about the work First Love Foundation does to address this and promote change in the community and society as a whole. After totalling up the cash donations from the raffle and ticket sales, the grand total raised was an amazing £2447.85 – a brilliant result from such a fantastic evening! £10 will cover the cost of drinks and biscuits provided at one of our Crisis Centre sessions. A monthly donation of £20, with gift aid will provide us with £300 per year, which will help deliver a bespoke package of support to help a person move towards employment, live sustainably and no longer having to rely on emergency food support. Thank you to everyone who was involved in the event’s success, particularly Lindsey, Sydonie, Hannah, Cat and Holly from the IIL YMC; John the Quiz MC for the night; Steve and hi s team at the Steam Wine Bar for hosting; and of course, everyone who attended and donated so generously. You will make such a difference to people in Tower Hamlets, helping them break the cycle of crisis and start the journey towards a sustainable future. Please fill in this fundraising form if you are interested in hosting a charity quiz night or another fundraising event for First Love Foundation – we would love to hear from you. Check out this video from the night produced by Steam Wine Bar. This year, the London 10K is back and better than ever! We need your help to raise funds for First Love Foundation’s vital work in the community. Fi rst Love Foundation took part in this run for the first time last year. It was a great morning and was thoroughly enjoyed by all! 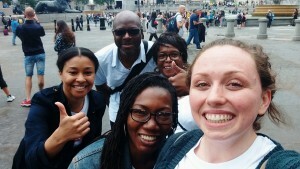 Team First Love performed amazingly on the day and raised over £4,600 for our work supporting people in Tower Hamlets facing crisis. 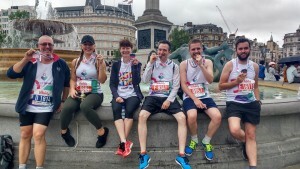 This iconic run tours some of central London’s most famous landmarks from Piccadilly to Whitehall, past Regent Street, Trafalgar Square, the Embankment, Westminster Bridge and Westminster Abbey. Run with thousands of others, enjoy great entertainment along the way and be cheered on by tens of thousands spectators; all guaranteed to keep your spirits high and your feet moving. Your support could make such a difference in people’s lives. Every £50 donated enables our project worker to meet with someone facing crisis and provide specialist advice and support to help them get back on their feet. In 2016 we supported 1,267 adults and 712 children in Tower Hamlets. None of this would have been possible without the generosity of our fundraisers. Fill in this form or email info@firstlovefoundation.org.uk to register your interest. We will then be in touch to answer any questions you have, provide more information and tell you what the next steps are if you choose to take on the challenge. Does poverty affect decision making? 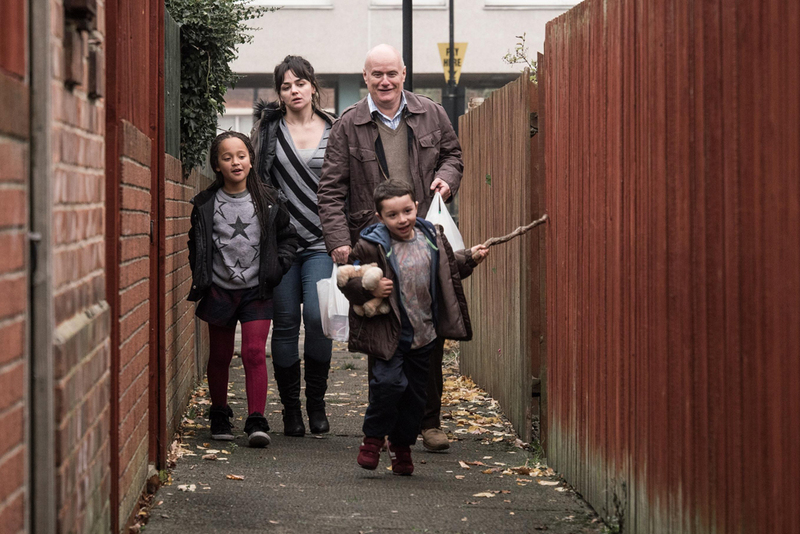 The Joseph Rowntree Foundation recently published a new report looking at how “decisions and behaviours play a vital role in helping avoid and escape poverty”. Their findings showed that poverty and low socio economic status does have an influence on the process underpinning decision making. We define crisis as having no money and no food. We know crisis has a huge effect on someone’s ability to think clearly and rationally. When you are stressed and hungry, life becomes all about survival and making it through the day, so naturally decisions that will benefit in the short term are made. The findings in this report outline examples and reasons to why this might be the case. For us, the report reinforces how important our holistic approach is for people in poverty, to help them discover and resolve the root cause of the crisis through specialist welfare advice and relational support, as well as giving short term help in means of emergency food support. We run our LOVE Summer holiday scheme for families who struggle when their children aren’t receiving free school meals because of the extra expense it causes. Our scheme is an opportunity for families to receive weekly support, a chance to build relationships and have fun together. Families also meet with our Project Worker for additional support and have access to a benefits health check in case they are not in receipt of all the financial support they are entitled to. These families are in survival mode; trying to make it to the end of each month without unexpected expenses or situations arising, for example replacing a child’s lost school blazer becomes a financial worry. Long term goals or dreams seem unreachable. However, we put more than food in bellies, we put hope in hearts. Anybody can achieve anything with the right opportunities and support. Sometimes the options are very limited. For example, when a person fails the Work Capability Assessment (WCA) and they want to challenge the decision but in meantime they will receive no income; they apply for Job Seekers Allowance (JSA) not because they are fit for work but because they need money to pay living costs and bills. This is just one example of when choices have had to be made in order to adapt to a life with very few resources. This particular situation is recently highlighted in Ken Loach’s ‘I, Daniel Blake’ film. If you feel passionate about social justice and the welfare system, we would recommend that you watch this film. Here is a link to the trailer. This finding was evident when our First Love Foundation hero, Alfred was referred to us. He was so stressed and low in spirits that he had to bring a friend with him to speak on his behalf. His income had been drastically reduced following the introduction of the bedroom tax. He was left with £43 a week to cover all bills and expenses. “I was eating a sandwich, maybe once a day. You’ve got to make £10 last a week before you get paid again.” Although looking for work, Alfred was struggling and losing hope. “It’s no joke. When you don’t eat properly you starve. You lose your self-esteem and everything. I was sending out my CV 15 times a day to companies. Sometimes you get replies back and sometimes you don’t.” Fortunately, we were able to help Alfred get back on track with the right advice and support, which resulted in him getting a job and having a sustainable life. Read his full story here. The report concludes with, “people living in or near poverty experience a shift in psychological, social and cultural processes that may hinder their ability to make decisions that are beneficial in the long term”. People in poverty are forced to adapt to circumstances and do whatever is needed to survive, even if it could have potentially negative implications in the long term. The way we work, at First Love Foundation, is to tackle poverty and social justice in Tower Hamlets through a unique and holistic approach. We address the immediate need by providing emergency food support, but the heart of what we do is provide advice & support to tackle the root cause of their problems and underlying issues – to break the cycle of crisis. We guide and enable people to get themselves back on their feet so that they have a new hope and resilience for the future. Click here if you would like to read the full report by Joseph Rowntree Foundation and their findings. *£10 is the estimated cost of providing a one to one meeting with our Project Worker. Lent has become an opportunity to not only give up chocolate, coffee or Facebook. It is also a time to be kind, thoughtful, thankful and generous. 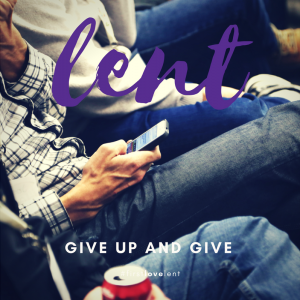 We are challenging you to GIVE UP AND GIVE this lent. Give up something you love and show love by donating the cost of what you save. “It’s no joke. When you don’t eat properly you starve. You lose your self-esteem and everything. I was sending out my CV 15 times a day to companies. Sometimes you get replies back and sometimes you don’t…” Click here to the find out how Alfred went from this crisis to having a sustainable and hopeful future. 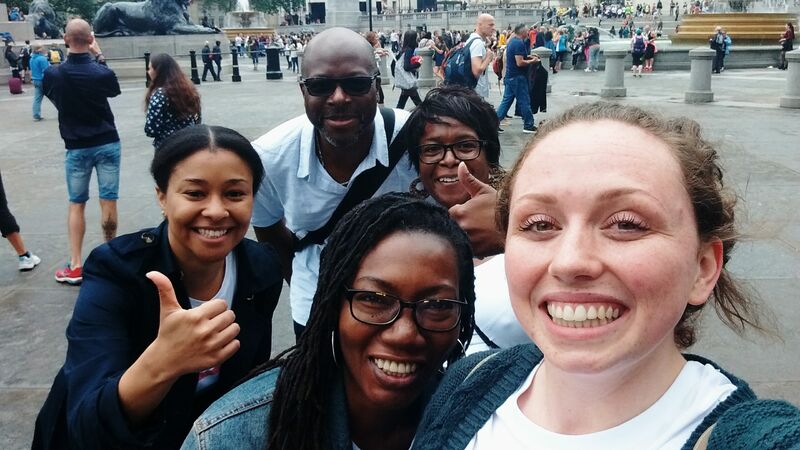 £50 could provide the opportunity for someone like Alfred, Lorna, Sandra or Claire to meet with our project worker and get the advice and support they need to start their journey out of crisis. 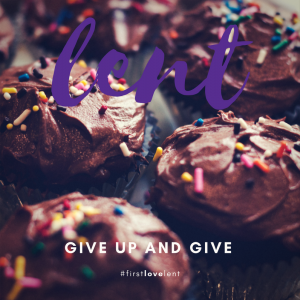 Join our #firstlovelent appeal and commit to GIVE UP AND GIVE this lent. Donate through our website or text LENT10 £3 to 70070 to donate £3 and support someone like Alfred get back on their feet. There is a new Sainsbury’s store opening near Stepney Green station and we are thrilled to have been chosen as their charity partner! We meet people every week from across the borough of Tower Hamlets who are facing crisis. Over the past week alone, reasons for referrals have included issues surrounding Universal Credit, family breakdown and homelessness. The support we receive from Sainsbury’s and their customers will help us continue to reach those most isolated and vulnerable in our community. We provide much needed advice, support and an emergency donation of food to help people get back on their feet. There are a number of ways that Sainsbury’s customers can support us – you can make a donation at the till points where there will be permanent collection tins. Or even join us at our upcoming supermarket collections and fundraising events to be held in store throughout the coming year. We are looking forward to attending the opening of the new Stepney Green station store on the 2nd March and hope to see you there!